We have great news for our WOU campus community... we are opening a Toddler classroom in the Fall of 2018! The Toddler classroom will have 8 opportunities for families with children between the ages of 18 months and 3 years of age. This program will be a joyful play based program where children receive responsive care giving from their Teachers. There will be a rich curriculum, absence of screen time, and predictable routines. Our family style meals include breakfast, lunch and snack. Each day our lesson plans will include: gathering time, singing, music, reading, movement, open exploration, outdoor play and rest time. This will be a safe, caring and thoughtful program for your child to attend. We will begin accepting Enrollment Request Forms online through our website on Friday June 8, 2018. This program will have the same selection criteria as our preschool program. Enrollment is first come first served giving primary priority to WOU students, secondary to WOU Employees and if there are still openings we will move to opening this service to surrounding community members. Access the Enrollment Request Form here. Creating a love of learning that paves the way for success throughout the child’s school years and later life. 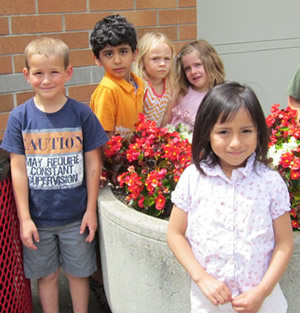 Our preschool program offers opportunities and experiences that help build your child’s self-esteem, independence and achieve school readiness in all areas of academic and social learning. 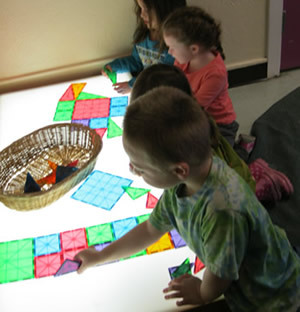 Our classrooms offer a multi-age experience for children age 36 months to 10 years. The whole child is nurtured by integrating activities into their daily routines that focus on the areas of language, social, emotional, cognitive, and physical development. These learning experiences are intended to meet your child’s individual developmental stage. We achieve this by maintaining a positive atmosphere where children are free to explore and interact with other children, adults, and their environment. Our comprehensive preschool programing is designed to serve all children seeking preschool and/or child care services including those with learning, behavioral or health challenges. When school is out, TRI-CDC Afterschool Enrichment program is the place to be. TRI-Child Development Center recognizes the developing physical, intellectual, and social competence of the increasingly independent school-age child. Children ages 5 to 10 years are striving to achieve socially and academically while expanding their knowledge of the world. Our program offers them enriched learning opportunities, new challenges, friendships, and increasing responsibilities in a fun environment. Our curriculum integrates creative play and project-based programing along with homework assistance and a healthy snack. With our child development professionals at your child’s side, you can be assured that your child is getting the care and support they need, the creative learning experiences they enjoy and the intellectually challenging opportunities they deserve.